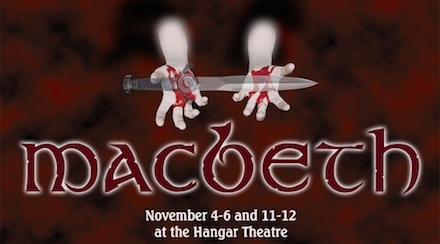 Much of the danger in Macbeth comes from a fear that mysterious powers are exerting influence and ill luck on human affairs. When Shakespeare wrote Macbeth, the witches — with their creepy cauldron ingredients and weird predictions — tapped into a deep vein of superstition perpetuated by the publication of King James's Demonology in 1597. Whether or not people still believe in witches today, something of Macbeth's own superstition and misfortune have attached to the history of a play many actors only dare to call "The Scottish Play." The curse of Macbeth, allegedly caused by witches, has prompted many rumors — some of them more easily dismissed than others. The claim that the first actor ever to play Lady Macbeth died on opening night is problematic due to uncertainty over both the cast and date of the first production. 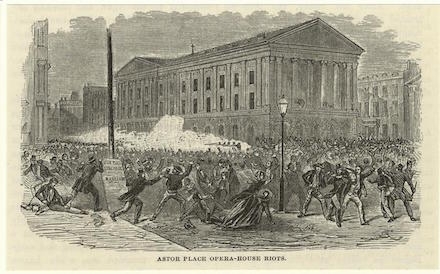 On the other hand, a dispute about whether English actor W.C. Macready or American actor Edwin Forrest was the better Macbeth, did result in the Astor Place Riots in 1849, which killed more than 20 people and injured 100 more. Macbeth was the inaugural production of the new Covent Garden season in 1809 when riots also broke out. Some say Lincoln was reading Macbeth the night before he was killed...in a theatre! Reports of injured or dead actors are particularly plentiful, including Laurence Olivier's near miss with a stage weight, Kenneth Branagh's accidental stabbing of an actor in his cast, and the death of Harold Norman, who died from injuries sustained in battle in a 1947 production. The unfortunate use of real swords accounts for many of these injuries, bringing Macbeth's suspicious words "Is this a dagger which I see before me" some ironic weight. Come and see it — if you dare! While the witches are one of the most striking and memorable aspects of Macbeth, some of the witch scenes in the play were probably not written by Shakespeare at all. They were taken from another play, by Thomas Middleton, and added to Macbeth by Shakespeare's acting company after he had died. They draw heavily on the conventional theatrical stereotypes of Shakespeare's time, giving us witches that are sometimes scary, sometimes silly. Shakespeare's historical source for the events of the play, Holinshed's Chronicles, gives a different view of the witches. It says that the beings who appeared to Macbeth and Banquo were widely thought to be "the goddesses of destiny." This is in keeping with the way the witches are referred to in the dialogue: they are always called "the weïrd sisters," where "weïrd" comes from the Old English term wyrd, meaning fate or destiny. And the primary power that the witches have in the play is indeed the ability to prophesy about what will happen in the future. 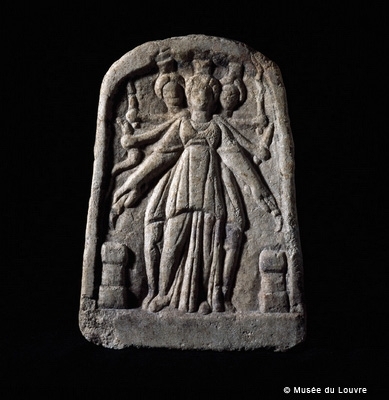 This set of ideas links the witches of the play back to the older, pre-Christian mythological traditions of early Europe. They stand in a line of "goddesses of destiny" such as the Norns of Norse mythology and the Greek Fates. For this production, we've been exploring the possibilities of taking this idea literally and treating our witches as goddesses of destiny, powerful supernatural beings that exist on a different level of reality than the human characters and have "more in them than mortal knowledge." Daughter of Perseus, Lover of Solitude, rejoicing in deer. Always bestowing Thy graciousness upon the officiant. Opens Friday — Two Weekends Only!